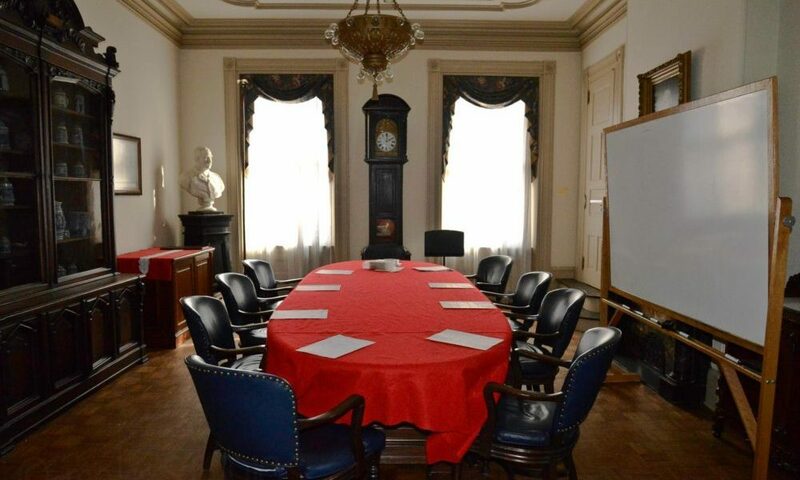 The Director's Room is the parlor of the 1830's townhouse that is now the German Society's office space. With a couch, armchairs, and curio cabinets filled with vintage beer steins, china, and books, the room is a charming setting for a bridal suite before a wedding ceremony, or for a quiet retreat during a reception. The room also contains a large board table that seats approximately 12 people. The Director's Room connects to the Auditorium through a set of double doors. For security reasons, it is only rentable in conjunction with that space.